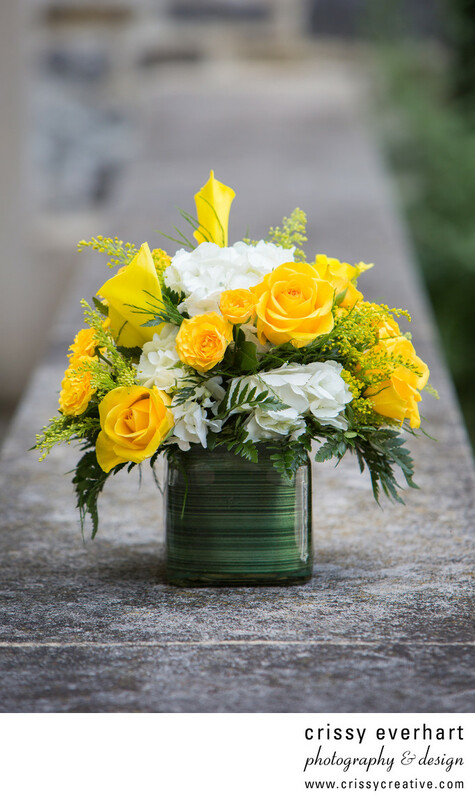 Gorgeous white and yellow bouquet in square glass vase, stems wrapped in leaves. Oberod Estate in Delaware, spring wedding. Location: 400 Burnt Mill Rd, Wilmington, DE 19807.